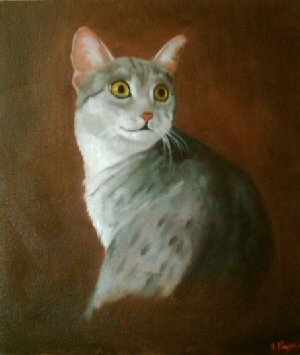 Commission a pet portrait of your pet cat, dog, horse painted in oils on canvas. Starting price is just £55 for a 12 x 16 inch painting ( please take a look at the prices page for a full list ). All enquiries will be considered, no size is to big or to small. I have taken commissions from all over the world and my paintings hang in private homes all over Europe and North America. I paint pictures of dogs, cats, horses but have also painted many other things including rabbits, birds and I even once painted someone’s goldfish. I am a traditional painter, many of my paintings are inspired by those of the Victorian artist Arthur Wardle but I also paint many modern looking paintings including many on thick edge gallery wrapped stretchers so that the painting can be hung in the more modern way with out a frame. Whether I am painting dogs, cats, horses or people I always try to paint the same way, attempting to put in as much life as possible. All of my paintings are created from photographs provided by the client – if possible more than one photo is best so I can get a feel for the personality of your pet but I can work from just the one photo. There are many different examples of my work in the many pages on this website. 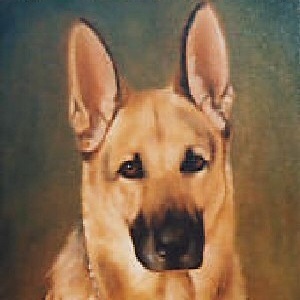 There are Great Danes, Basset Hounds, Irish Wolfhounds, Cocker Spaniels, Poodles, Jack Russells (always a favorite to paint ) and many, many more. 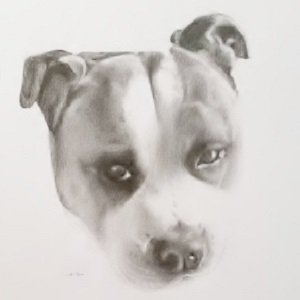 So if you would like to find an example of a painting of a Bull Terrier then just take a moment or two to browse through my gallery pages and if you like what you see and would like to have a similar portrait of you own pet Bull Terrier then just drop me an email and I will try to get back to you with in 24 hours. All of my painting and portraits are original paintings, painted in oil paint on canvas and they make an excellent gift for either a birthday or Christmas present. Nothing can beat the look of a portrait painted in oils on canvas. 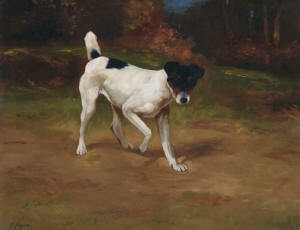 A portrait of you pet dog or cat can be the perfect centre piece for your living room. 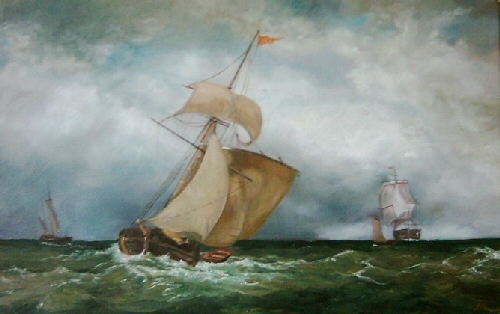 Many of my clients have commissioned several paintings from me and repeat customers often outnumber new customers. For small paintings no bigger than 12 x 16 inches I normally advise simple plain backgrounds so not to draw attention away from the main subject of the portrait but for larger full body paintings (20 x 16 inches and above) I often do outdoor backgrounds of grass sky etc..
As well as painting pets ( for some reason far more dogs than cats ) I also take commissions to paint people. 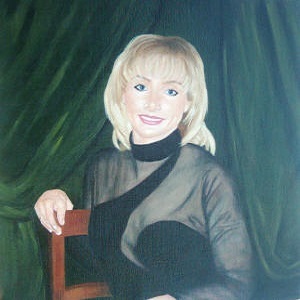 There are a few examples of my portraits of people on this website and I will be putting on lots more soon. For prices of family portraits then please click on the prices page. My paintings normally take around 3 to 4 weeks to finish – this is due to the drying times of the oil paint but if need be I can sometimes speed up the painting process so that you could have the painting even sooner. After we have decided how the painting will look, the background and the composition etc., I normally start with a detailed sketch which I will email you before I start the actual painting. When the painting is finished I will email you a photo so that you can check that the painting is exactly how you want it and has turned out the way you expected. Payment isn’t expected until this point, when you are completely happy with the results. Portraits of people take a little longer than cats or dogs. Quite often there will be 3 or 4 layers of paint involved and so the process can take anywhere between 4 to 8 weeks, but apart from that and the fact I might need more photos (professionally taken photos are the best for portraits of people) the process of commissioning a portrait of a person is basically the same. Over the last few months I have been commissioned to paint portraits of various dog breeds including Labradors, Boxers, Briards, a Red Setter, several Jack Russell’s, two Alsatians, several cats and two horses. I have also painted a few family portraits. Many of these paintings are on the website so if you own a Labrador and would like to see how I have painted other portraits of Labradors then please take a look around the gallery pages – if you like what you see then just drop me an email or send me any photos you have and I will get back to you as soon as I can to discuss the painting or to answer any questions you might have. Whether you are looking for a traditional portrait, a pet portrait or a portrait from Spirit, we pride ourselves on giving our clients a first class service. Although very different in personality and interests, Gail and John share a love of portraiture and pets. 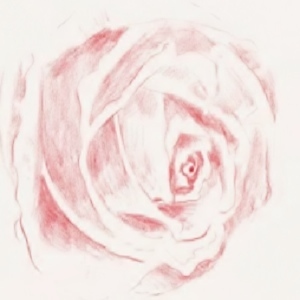 This website, in essence, is a project of great passion, stemming from an idea by Gail as a vehicle for psychic art.